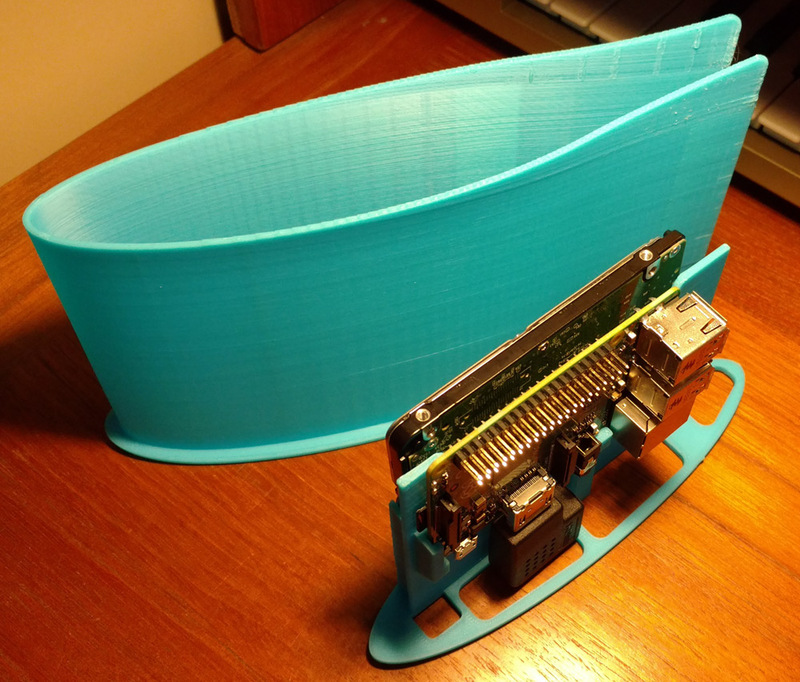 Recently I printed a case for my new PiDrive so it can be pair easily with my Raspberry Pi. The build went pretty well, but near the “tail” of the enclosure it lifted a bit from the build plate. Also, there’s some lengthwise cracks that start at the tail. I might add some dummy parts near the tail to combat this if I were to build it again. It was printed on a Zotrax M200 using 1.75mm ABS filament. The source files can be found here.